Facebook Messenger Translation - It's Happening. Facebook Messenger Translation – It’s Happening. 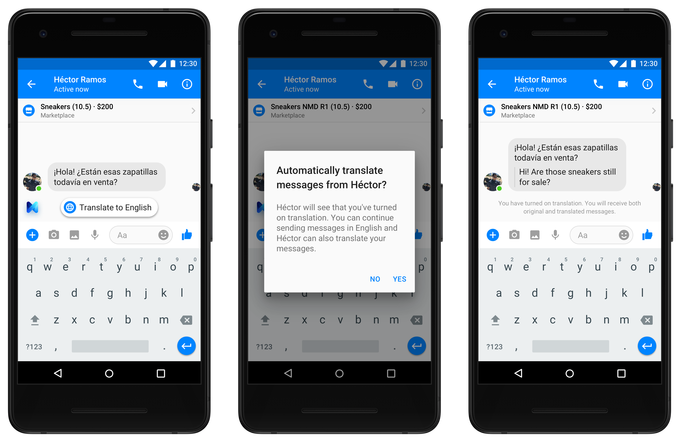 Facebook has announced at its’ F8 Conference that they will begin rolling out translation abilities within Facebook Messenger under the “M” suggestions. Friends are now being created across language barriers thanks to this new feature. Chat Translation was announced as it begins rolling out within the “M Suggestions Assistant” found within the Facebook Messenger app. 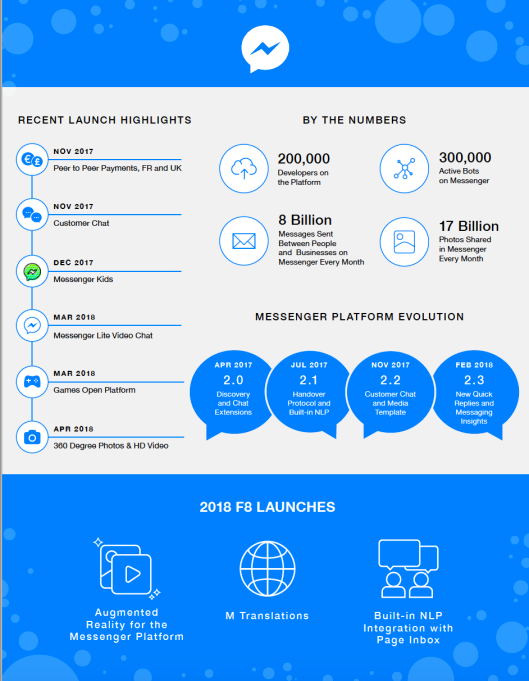 David Marcus, FB’s head of Messenger, declared that Messenger has over 200,000 developers and 300,000 bots that manage 8 billion messages between businesses and people every month. This is over 4x the amount from last year. Marketers are also getting hooked up with augmented reality from Messenger. Getting rid of the language barrier helps group members to get to know one another between various cultures. In addition, they can come to realize just how much they may have in common. In addition, translation has the possibility to expand Marketplace posts to potential new customers that would have otherwise been missed. Facebook already offers translation seen in Comments, Posts, and News Feeds. However, the inclusion into Messenger is powerful for actual back-and-forth conversation with someone that speaks a different language. While this is a great step forward for a social platform, it does not replace the importance of using professional translators when it comes to business needs, events, conferences, and so many other times when a simple mishap in translation could cost a company more money than they had bargained for. The professionals at Atlas Language Atlas Services provide everything needed for your translation needs. Whether looking to rent translation equipment, or to have professional interpreters at your event, Atlas handles it.